Updated: Dec. 1, 7:50 a.m. | Posted: Nov. 30, 4:42 p.m. 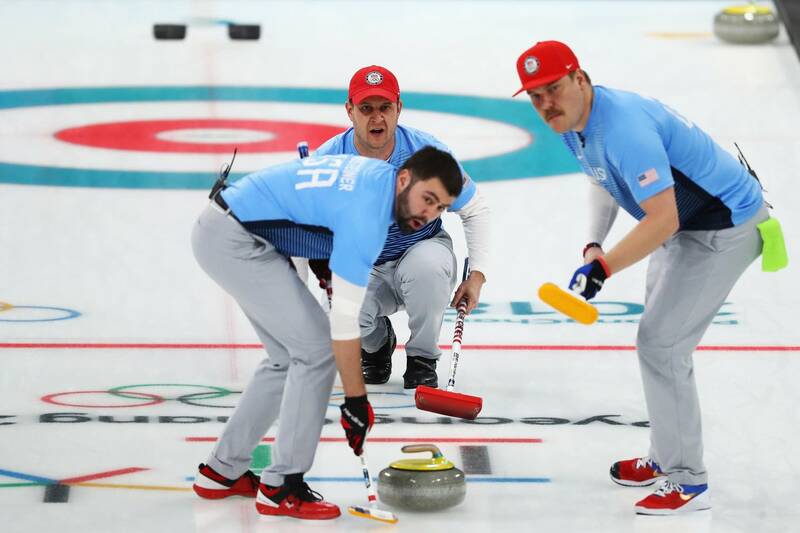 If your first exposure to curling is watching the sport at the Winter Olympics, you might be lulled into the idea that it's a sport you could play, and even excel at professionally. That is, until you play against a pro. But former Minnesota Viking Jared Allen decided to take a shot at the sport. And on Friday night, he faced off against the gold medal Olympic Team. Allen said that the sudden pursuit to play in the 2022 Winter Olympics in Beijing started as a bet between friends. He's also recruited former pro football players Marc Bulger, Keith Bulluck and Michael Roos to pick up the sport with him. They're curling under the unofficial team name All Pro Curling and will be based in Blaine, Minnesota. "My friend told me I couldn't become an Olympian," Allen told the Pioneer Press in a phone interview. "It was kind of just talk, and then I started looking at some of the sports I thought I'd be capable of doing." Turns out, fate threw him a fast one. His first professional game at the Curl Mesabi Classic in Eveleth, Minn. will be against none other than Team Shuster. Team Shuster's team is still spreading the popularity of the Scotish sport. They were featured at the Vikings game against Green Bay. Allen also told the Pioneer Press that this first draw against the Olympic champion is like "a Division I-AA team going up against freaking Alabama." But for this first game, Allen and Bulger will play with professional curler Hunter Clawson and former Olympian John Benton. Bullock and Roos won't be in attendance for the first game. In the end, "Alabama" defeated "Division I-AA": The Shuster rink beat Allen's crew 11-3. The Curl Mesabi Vlassic continues Saturday.